Physicians often experience unforgettable moments during their professional practice that will forever become a part of their mind and soul. For me, the most memorable moment, however painful, was the moment when Saba Haftbaradarn was about to lose her life. Saba was shot by the Iraqi forces (on behest of the Iranian regime) and her upper thigh artery was severely cut. Given her relatively petite and lean body, I knew she was experiencing a great deal of pain. But Saba had a very strong spirit. She moaned several times because she was extremely hurt but she immediately apologized. I felt shame that I was unable to do more but also felt great pride to have been among women like Saba. My name is Khadijeh Ashtiani but most of my friends and patients call me Atefeh. I am 56 years old and serve as one of the doctors at Ashraf 3. I have been acquainted with the Iranian resistance from a young age. I was 19 years old in 1982 when I was arrested because I had expressed support for the PMOI/MEK. I was placed in the torture chambers in Evin and Ghezelhessar prisons until 1985. I was regularly tortured and experienced a great deal of pain and hurt. Once I was released from prison, I decided to study medicine so I could help my people through my professional practice. I always loved medicine and wanted to treat people, especially the poor who were unable to pay for their medical needs. I took the entrance exam and even though I did well on the exam, I was denied admission because of my MEK background. I did not stop trying and was finally able to get into the medical school in 1988. After many years of studying and completing my medical residency program, I began practicing in 2001. But that’s where I truly felt the deep sufferings of the poor people and how the vicious cycles of cruelty and poverty had made life so miserable for them. I would treat these people freely and had made arrangements for them to receive their medications free of charge. Despite my best efforts, I could not make peace with my conscious. I had to be doing more and that’s when I realized I had to join the PMOI/MEK to bring about real change in Iran. I had five siblings. One of my older sisters and my younger brother had already given their lives for freedom as MEK supporters. My sister was arrested and killed when she was trying to join the MEK. My younger brother was executed during the massacre of political prisoners in 1988. Despite an atmosphere of fear surrounding our family, I decided to follow my older sister’s steps and join the MEK. In 2002 I was able to achieve my goal. 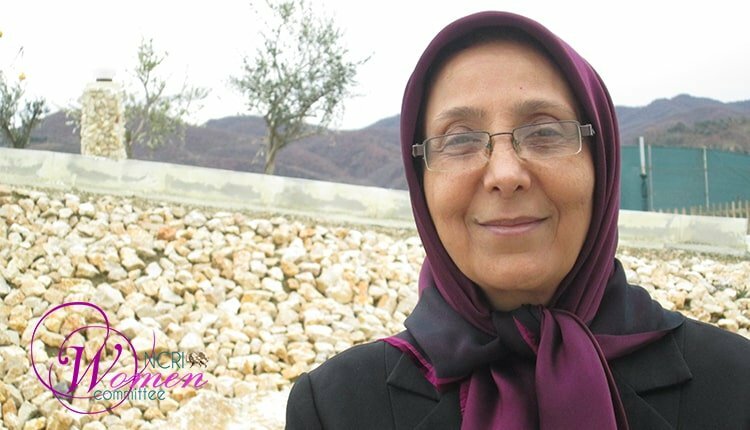 I joined the MEK and became a member of their medical staff and extended my services to them during the 14-year siege of camps Ashraf and Liberty. During the 14-year siege, I witnessed the cruelest, and the most absurd and brutal medical blockade of the camps Ashraf and Liberty at the hands of the Iraqi agents who were following orders from Tehran. The blockade had direct and immediate impact on the lives of the residents. Many lost their lives because we were prevented from access to the medical resources needed to treat them. The medical teams at the camps showed a remarkable amount of resilience, patience, creativity, and courage in treating the camp residents who needed urgent care. As a general doctor, I learned about various branches of medicine and with online support and consultation from doctors around the world I could do much more than what an ordinary general physician does. I could diagnose cancer and I did sonography, etc. The experience helped me enhance my own medical knowledge, skills and competency. I stayed in touch with the physician supporters of the MEK and obtained educational resources and learned about the best practices. The medical teams in Ashraf and Liberty had one goal: to save the lives of the freedom fighter residents and in many ways, we overcame the blockade. Our enemy, the Iranian regime and its Iraqi agents, thought that by blockading us, they would exert the largest causalities. We lost many of our valuable freedom combatants but the number of our losses were significantly lower only because of our medical teams’ determination, resilience, and dedication. Nowadays, when I walk in Ashraf 3 in Albania, I think of our days during the siege, and feel so much pride and honor of our strengths, determination, and the will to survive and become stronger. I think of Saba; her last look and her last words, “we stand to the end,” has been the greatest source of strength for me. I will forever keep her memory alive until the day we free Iran from the clutches the religious dictatorship. Saba Haftbaradaran was killed on April 8, 2011, in an attack on Camp Ashraf by armed forces of the Iraqi Prime Minister Nouri Maleki. The Iraqi Army attacked Ashraf at the behest of the mullahs’ regime intent on massacring all the defenseless residents of Ashraf. 22 persons were ran over by armored vehicles, 180 were directly shot, 300 were wounded and 36 including 8 women were killed. Iraqi forces did not allow blood transfusion for Saba unless her father cooperates with the Iranian regime, a demand that was vehemently protested by Saba and her father.